‘Riding the Line’ Big Cowboy giveaway contest!! Welcome to my blog and my contest to win some cowboy goodies. First Prize; Copies of all 3 of the Cowboy books! And a sweet cowboy themed charm bracelet. Just leave a comment here and I’ll pick a winner at random by February 9th. Cowboys..oh, I can’t resist them. My favorite type of hero. I’d love to win! Hi Kate! Cool contest! I love those cowboys! Hi Kate! I would love to be entered in your contest! 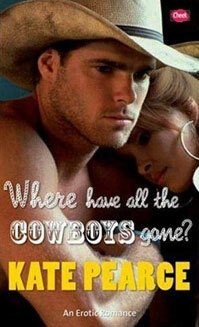 Books about cowboys are my favorite! May I say that those covers are gorgeous (OK HOT!!! )Just brightened my day LOL. I didn’t know if you announced the winners yet? ?